Director of the Eisdell Moore Centre, Professor Peter Thorne. A multidisciplinary collaborative research centre dedicated to research into hearing and balance disorders was launched in Auckland this week. The new Eisdell Moore Centre is a virtual centre that will bring together researchers and clinicians at the University of Auckland with similar groups at the Universities of Otago and Canterbury, to develop prevention, treatment and interventions for these conditions and their consequences. Many New Zealanders are affected by hearing and balance disorders and the numbers are expected to increase substantially as the population ages. The Centre is named after the late Sir Patrick Eisdell Moore, an eminent New Zealand Ear, Nose and Throat Surgeon and founder of the Deafness Research Foundation. At the launch, new Centre Director, Professor Peter Thorne welcomed the Moore family, including Lady Beth Moore, their four sons and extended family. The gathering was also addressed by the Honourable Justice Simon Moore, the president of the Hearing (previously Deafness) Research Foundation. He also welcomed the Trustees of the Hearing Research Foundation who had committed to the formation of the centre and had made a substantial donation to establish it and support the research. Professor Thorne says, “Hearing and balance together provide us with a sense of self within our world, allowing us to connect with and navigate through our environment and to interact and socially connect with people. “Disruption of these sensory systems affects our ability to perform these critical functions, which can have profound effects on physical and mental wellness. “Hearing loss affects between 10 and 18 percent of the population and the impact can be severe, including poor communication and disengagement from society, difficulties learning and poor speech and language development in children and it may lead or seriously contribute to social and behavioural problems,” says Professor Thorne. Professor Thorne says there is a need to develop approaches to diagnose, treat or prevent these conditions, to understand more about their impact on people, families and whanau, and to develop policy for better service delivery, early detection and interventions. 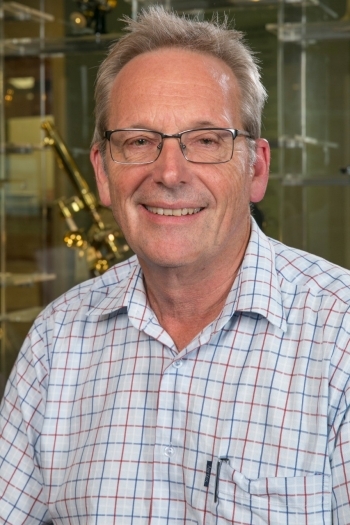 “New Zealand has an extraordinary breadth and depth of research talent in these fields with internationally-recognised scientists around the country working on the basic sciences of the auditory and vestibular systems, development of treatments for ear disease, tinnitus and auditory processing disorders and the prevention of hearing loss,” he says. “We have outstanding scientists working on balance and the vestibular organs and use of deep brain stimulation to reduce tinnitus. “We have a small but growing programme of research on ear and hearing health in Maori and Pacific communities, which is essential to address the hearing health inequalities in these communities. He says that with the new Centre, they hope to be able to harness this talent to improve outcomes for people with hearing loss and balance disorders. “So our vision is a virtual centre that will generate national (and international) interdisciplinary collaborations bringing together these outstanding researchers at the University of Auckland and Universities of Otago and Canterbury, and connect them with clinicians and with the community. “We see the Eisdell Moore Centre as an enabler. We also want to see a focus on building the next generation of researchers who will have a strong interdisciplinary approach and a broad understanding of the clinical and social impact of these disorders,” says Professor Thorne. By working with community groups such as the National Foundation for the Deaf and the New Zealand Dizziness, Balance and Vertigo Society, the Centre will also support community education on hearing and balance disorders to aid prevention and treatment of these conditions. The Eisdell Moore Centre will be based in the Faculty of Medical and Health Sciences at the University of Auckland and will receive core funding of $1.75M over five years from the Deafness Research Foundation. The Centre will also link researchers with clinicians, in private practice and DHBs, and community groups to form a research and community education initiative charged with improving the health of people with hearing loss and balance disorders in New Zealand and the Pacific. For media enquiries email Suzi Phillips, Media Advisor Medical and Health Sciences.